Missing the cut in France had an upside. 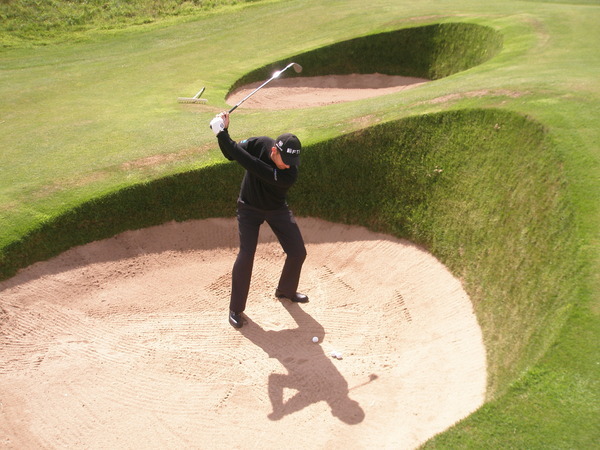 By the look of these pictures it would appear that Padraig Harrington has made a second reconnaissance trip to Turnberry, seven weeks after seeing the course for the first time. 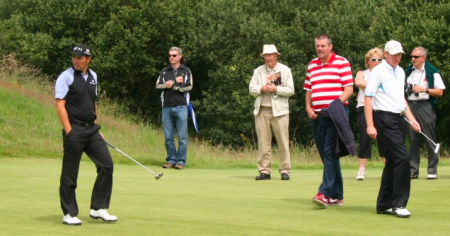 No doubt he will have picked up some important information before he goes for a hat-trick of Irish PGA wins at The European Club in Co Wicklow on Wednesday. 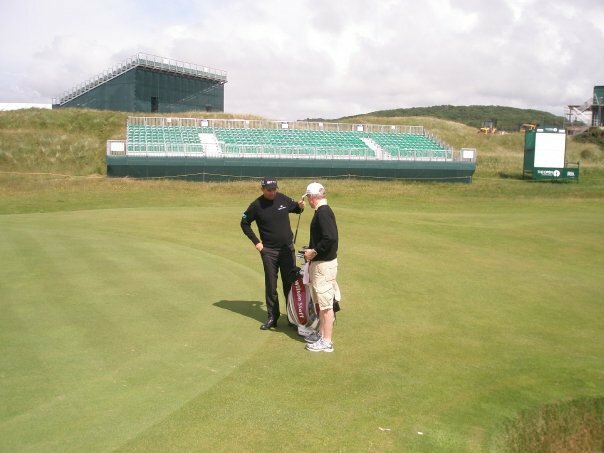 Harrington won the Irish PGA in a play-off in 2007 and then claimed his first major in a play-off at Carnoustie the following week. Last season, he won the Irish PGA by four strokes and retained the Open by the same margin at Royal Birkdale eight days later. The superstitious will be keeping an eye on scores from Brittas Bay as the Dubliner prepares to win the Claret Jug three years on the spin. "I know Peter Thomson was the last man to do it and it is just rare that people win three in a row," Harrington said during his May visit. "But I think I am in with a great chance of doing it. I feel like my game will be ready and that’s all I can ask for. Going and winning it is, I won’t say secondary because that is the primary goal to win it. But the one that is in my control is to be ready for it and I do believe things are on track for the Open when it comes around. If I tee it up in the Open and I feel like I have done what I needed to do and got my game ready for the Open, I can ask no more of myself." Considering his recent form, few will be betting on him. But his Lazarus like major wins - Carnoustie (72nd hole disaster), Birkdale (wrist injury) and Oakland Hills (hitting it sideways in the second round) - prove that he can overcome almost anything and win. Difficult? Yes. Impossible? No. Padraig Harrington confessed that he needs a war of attrition at Turnberry if he is to complete a hat-trick of Open wins. The Dubliner is bidding to become the first man to win a hat-trick of Claret Jugs since Aussie legend Peter Thomson in 1956. Just don’t expect him to believe "The European Club Theory." Padraig Harrington won’t be warming up for The Open at St Andrews with a fourth successive appearance in the Irish PGA. Instead the Dubliner is toying with the idea putting on his own private event for around 20 close friends or teeing it up in the Barclays Scottish Open at Loch Lomond for the first time since 1999.